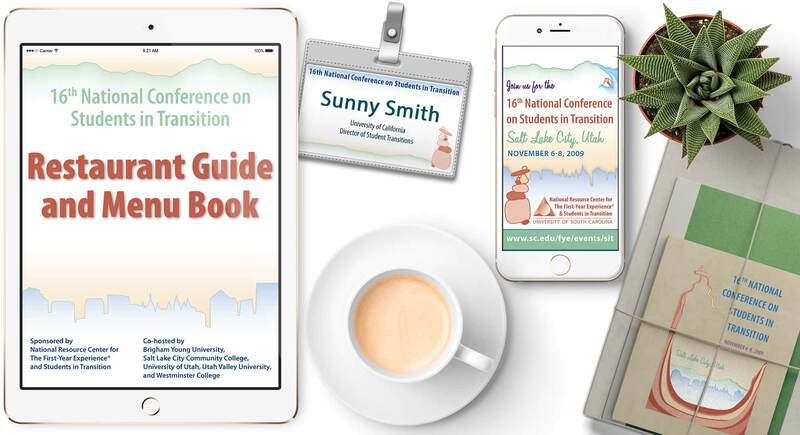 USC’s National Resource Center hired me to design memorable marketing materials for their conference. 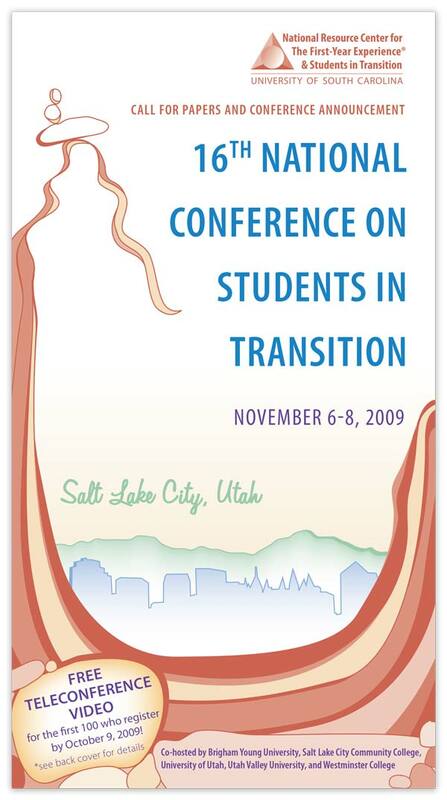 They are very well known for their work with student transitions in higher education. Their target market already knows and trusts the conferences will be awesome, so that leaves room to play with the brand when it comes to design. In Salt Lake City, the landscape and outdoor activities are a huge presence, so naturally I brought that in to the design to create buzz around a visually interesting piece and to sell the prospective attendees on the location. Call for papers and conference announcement – folded brochure. Front, inside, back.